The protagonist of this game is Ethan, a young boy from New Bark Town. His world is inhabited by creatures called Pokémon. Some train them for battle while others keep them as pets. Many choose to study them extensively, though even with humanity having lived side-by-side with these creatures since the days of old, countless mysteries about them yet remain. One such individual is Professor Elm, who lives in the same town as Ethan. One day, the young boy visits Elm’s research facility only to receive some unexpected news. A colleague of Elm’s, Mr. Pokémon, has made a breakthrough discovery. However, Elm is a busy man and has no time to make such a trip. He therefore asks Ethan to visit Mr. Pokémon’s residence and see the discovery for himself. 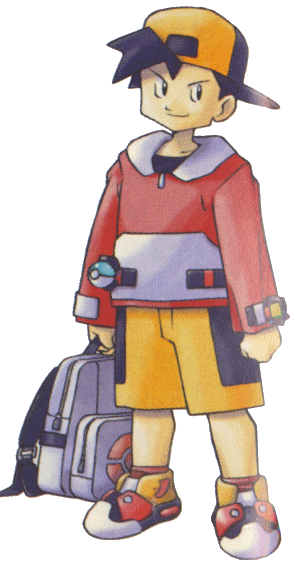 As the world of Pokémon would be quite dangerous to travel alone, Elm generously lets Ethan have one of his own. New Bark Town is situated in southeastern Johto. It is home to several Pokémon that can’t be found in Kanto. This is evidenced by Elm offering Ethan three Pokémon entirely different from the ones Oak had given Red and Blue in the previous games. He has the choice between Cyndaquil, Chikorita, and Totodile. Though Elm’s Pokémon are of different species from Oak’s, they have a similarity in their types. Cyndaquil looks like a cross between a shrew and an echidna – only with flames erupting from its back instead of quills. Totodile is a small, bipedal crocodile capable of shooting water from its mouth. Chikorita is a plantlike Pokémon that vaguely resembles a small dinosaur. Once you have made your choice, the game begins in earnest. 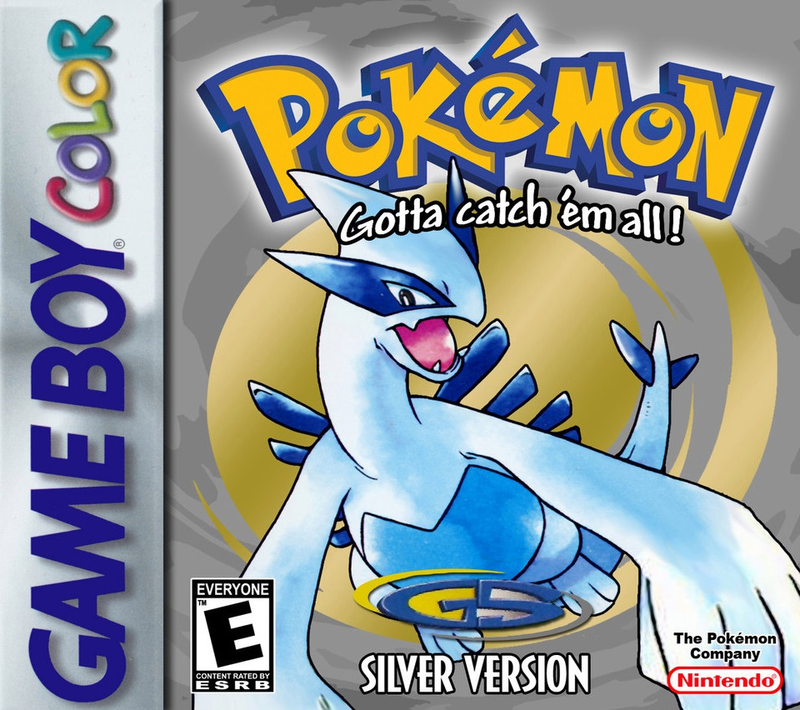 Gold and Silver build on the gameplay of their predecessors. As such, the base game is instantly recognizable to returning players. They are turn-based role-playing games that distinguish themselves from contemporaries in a number of ways. Most obviously, the main character himself does not partake in any battles. Instead, he trains these creatures – Pokémon – to fight in his stead. People who engage in this highly prestigious activity are called Pokémon trainers. Battles function exactly as they did in Red and Blue. Every fight is a solo affair; only one Pokémon per side is allowed. Each trainer issues a command, and a round of combat is played out. The faster Pokémon is the one that gets to act first. When a Pokémon runs out of health (HP), they faint and cannot participate in battle any further. They also cannot be healed by conventional means in such a state; only a trip to the Pokémon Center or a Revive medicine can rouse them. Fortunately, Pokémon Centers remain a free service, so you are not out of luck should you be strapped for cash. The games are presented from a top-down perspective. The engine is tile-based – pressing a direction on the control pad moves Ethan one space in that direction. Encounters against wild Pokémon function a bit differently than in a standard JRPG in that they aren’t completely random. On the overworld, they can only be triggered by walking through tall grass. If your Pokémon are injured, it’s best to stay out of the grass as much as possible. Conversely, in most dungeons, you do run the risk of triggering a random encounter with every step you take. A good rule to keep in mind is that naturally formed dungeons such as mountains or caverns are rife with wild Pokémon. Meanwhile, dungeons manmade in nature such as enemy hideouts lack random encounters. There is a meaningful exception in how wild Pokémon have taken up residence in structures abandoned for a significant amount of time, drawing numerous parallels to real-life animals’ remarkable ability to adapt to mankind’s modernization of the world. Although the premise upon which these games operate is highly similar to that of their predecessors, Mr. Tajiri and his team introduced a plethora of new ideas to the proceedings. Before you’re even given the opportunity to name your character, the game asks you to input the current time. Shortly after you gain control of your character, you’re asked what day of the week it is and, in North American versions, whether or not it is currently daylight savings time. All of this means exactly what you think – certain events in Gold and Silver functions in real time. The internal clock is always ticking – even when you’re not playing the game. As you may have ascertained, Gold and Silver running on an internal clock has many profound ramifications on the gameplay. This isn’t to say you have a limited amount of time to advance the plot. Any conflict will not advance until you actively seek out and activate the relevant event flags. Instead, the time system has greater impacts on the exploratory aspects of the game. The most obvious is that the world now has day and night cycles. A day is split into three phases: morning, day, and night. Morning lasts from 4:00 A.M. to 9:59 A.M., day lasts from 10:00 A.M. to 5:59 P.M., and night lasts from 6:00 P.M. to 3:59 A.M. Many games prior to 1999 such as Dragon Quest III or The Legend of Zelda: Ocarina of Time featured day and night cycles, yet they did not operate in real time. What Gold and Silver did was establish a connection between real life and a game world in a way few other creators tried, let alone successfully implemented. If the developers had stopped at designing this internal clock for immersion purposes, it would’ve been impressive in of itself. However, it is evident that the developers wanted to fully explore the idea and the implications it would have on the experience. As you wander the Johto countryside at night, you may stumble upon an owl Pokémon called a Hoothoot. Much like owls in the real world, this Pokémon is nocturnal. Hoothoot has an interesting story regarding its design. Artist Ken Sugimori once had a pet bird and was surprised when he saw it standing on only one leg. He would learn since then that it was normal behavior for the species of bird, yet it left an indelible impression on him. 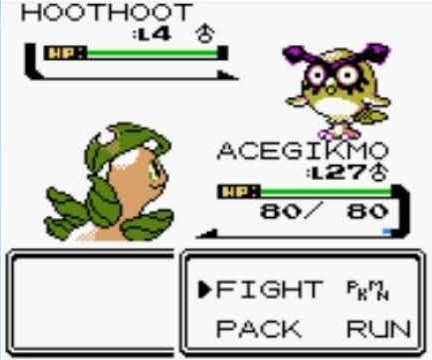 As a parallel to Mr. Sugimori’s childhood experience, Hoothoot appears to be standing on one leg when it reality, it shifts its weight between two so quickly, it can’t normally be seen. In fact, many Pokémon have times of the day in which they can be found. Like Hoothoot, their patterns mimic the real-life animals on which they’re based. After all, most songbirds aren’t active at night; you therefore shouldn’t expect to see a Pidgey flying around after 6:00 P.M. There is even a pair of Bug-type Pokémon for each version with opposite behavioral patterns. Gold features Spinarak, spiderlike creatures that are nocturnal. Meanwhile the matutinal creatures resembling ladybugs, the Ledyba, can be found in Silver. Moreover, Mr. Tajiri and his team programmed special events scheduled to occur on certain days of the week. 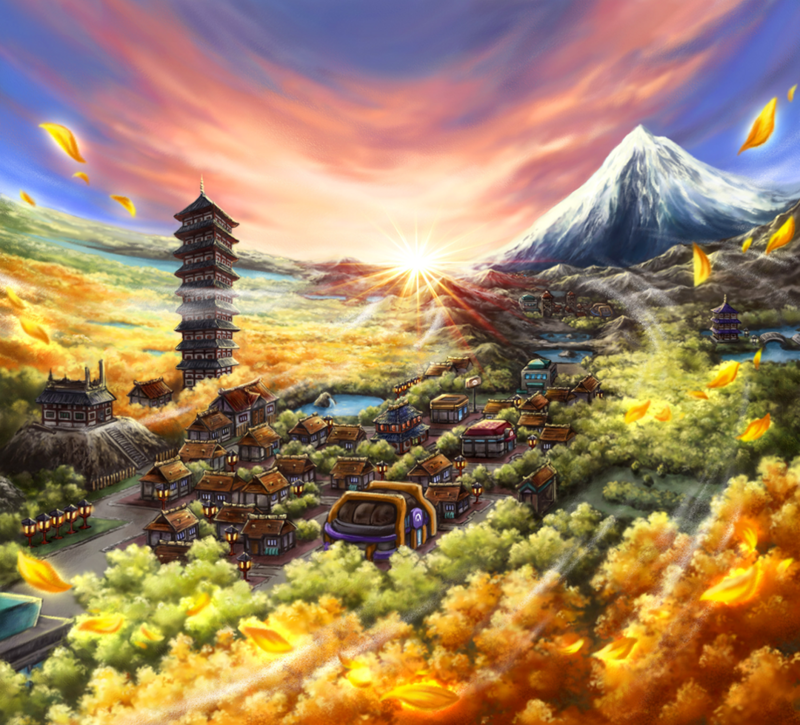 To the north of Goldenrod City, which is the largest settlement in Johto, lies the National Park. On Tuesdays, Thursdays, and Saturdays, a Bug-Catching Contest is held in this park. There are other special services throughout Johto that are offered on certain days of the week. One of the most notable concerns a group of seven people. Each of them have a name similar to a weekday, and by talking to them, they will give you a prize. If the day and night cycles brought life to the natural aspects of the Pokémon universe, implementing a week system did the same for the humans who inhabit it. During your trek to Mr. Pokémon’s house, you may catch on to the existence of an entirely new mechanic. When your Pokémon is running low on health and you’re just about to heal it with a Potion, you get to witness it take the initiative by eating a berry, thereby restoring ten HP. If you’re wondering where your Pokémon got the berry in the first place, a quick examination of the status screen reveals the answer: they can now hold items to use in battle. Held items could be seen as a rough analogue to equipment in a traditional JRPG. They typically don’t necessarily increase the Pokémon’s stats, however. Instead, their utility is a bit more situational. You can find berries capable of healing a Pokémon’s HP or any status conditions they might be afflicted with. For example, if a Pokémon is poisoned while holding a berry capable of removing it, they will consume it automatically. Though berries can obviously be used only once, Pokémon will automatically eat them without you having to waste a turn using the appropriate medicine. Therefore, if you know you’re about to enter a fight against a trainer who specializes in a type such as Poison, Electric, or Ice, which are notorious for inflicting status conditions, you can take the necessary precautions. It’s important to know that Pokémon cannot make use of manmade medicines such as Potions. You can have them hold onto one, but it won’t have any effect in battle. Held items don’t necessarily take the form of consumables, however. There are also items that confer a passive bonus onto a Pokémon when given to them. One of the first you may stumble across is Charcoal. If a Pokémon is holding a piece of Charcoal, their Fire-type techniques are increased by ten percent of their base power. There exists a corresponding item for every type in the game. Depending on what you choose to do, you could match the item with the Pokémon’s type and further increase the associated bonus damage or elect to power up their secondary moves instead. Even the slightest increase in damage could mean the difference between victory and defeat. There are also held items that affect all Pokémon equally. When walking through the National Park, a character will give you a Quick Claw. This item occasionally lets the Pokémon holding it act first in battle, ignoring the combatant’s “Speed” stat. It is best used on slow Pokémon, and it can be a nasty surprise for your opponent if it activates at the right moment. Along those lines, when you attempt to sort through your inventory for the first time, you’ll notice that the bag is divided into four compartments. One contains Poké Balls, the second holds the plot-important Key Items, and a third is where the Technical Machines (TMs) you have acquired are stored. The fourth compartment, simply labeled “Items”, is where any tool that doesn’t fit into the previous three categories can be found. Though you still have to be mindful of the limited storage space, this makes inventory management much easier. As long you’re diligent about keeping your bag clean, you no longer have to worry about tossing out perfectly good items anymore. As you begin making significant progress, you will learn that the gameplay has been significantly rebalanced. One of the first changes a returning player is likely to notice is that the “Special” stat has been divided into two different ones: “Special Attack” and “Special Defense”. These are exactly what they say on the tin; they influence the amount of damage a Pokémon inflicts with a special attack and receives from an opponent’s own respectively. The reason for this change is fairly obvious. Back in Red and Blue, a Pokémon with a high “Special” stat was virtually invincible if they also happened to possess a reasonably high “Defense” stat. They would only need access to an array of special attacks and you would be prepared for anything the game could throw at you. In Gold and Silver, possessing powerful special moves isn’t a guarantee that your Pokémon can shrug off the opponent’s. With this small change, players must be more aware of their Pokémon’s strengths and weaknesses. On top of that, Gold and Silver saw fit to introduce two new types to the series: Steel and Dark. One of the biggest problems with Pokémon Red and Blue was that Psychic-types utterly broke any pretenses of balance, which became especially apparent if you played competitively against friends. In theory, they were intended to be weak against Bug and Ghost-type moves. However, they were immune to Ghost-type moves due to a programming error. To make matters worse, there didn’t exist any powerful Bug-type moves; in fact, a majority of them could only be learned by Poison-types, which were notably weak to Psychic attacks. This meant the best one could hope for when combatting Psychic-types was a situation in which both combatants were at a severe disadvantage – the winner being whoever happened to strike first. The introduction of the Steel and Dark-types put an end to the original generation’s reign of Psychic Pokémon. To begin with, the Steel type resists a majority of the move types in the game – Psychic-types included. Specifically, they resist Psychic, Bug, Dark, Dragon, Flying, Ghost, Grass, Ice, Normal, Rock, and Steel-type moves. On top of that, Poison moves have no effect at all on them. Only two types, Water and Electric, deal neutral damage to them. As something of a tradeoff, Steel moves don’t fare as well offensively, only being effective against Ice and Rock Pokémon while dealing reduced damage to four different types: Electric, Fire, Steel, and Water. Because Ice and Rock-type Pokémon aren’t exactly short on weaknesses, Steel moves are rarely your best option for handling them. In many ways, Steel forms a thematic opposite with Ice, the latter type being able to exploit crucial weaknesses while having four weakness and only resisting itself. If the Steel wrestled away the dominance of Psychic Pokémon, the Dark type shattered it into millions of pieces. Why do I say this? The answer is simple: Dark-type Pokémon are immune to Psychic attacks. By their very nature, Psychic attacks take a lot of mental concentration. Meanwhile, the Dark type is all about fighting dirty. Anything from biting the opponent to calling on its allies to gang up on them is fair game to these Pokémon. How can a Psychic Pokémon possibly hope to focus in the face of such intimidating foes? They can’t. Then again, Dark Pokémon aren’t so from different Psychic-types in that they share a weakness to Bug moves. However, one of the most profound impacts the introduction of these types had was giving a neglected faction a new lease on life. Specifically, both have a common weakness to Fighting-type moves. In the previous generation, Fighting Pokémon were of little value, being one of the types unfortunate enough to have a weakness to Psychic attacks. Although they were the only ones capable of inflicting super-effective damage against Normal Pokémon, their utility fighting Ice and Rock-types was superfluous. This is because most of the Ice Pokémon were also Water-types, allowing players to exploit their Grass and Electric weaknesses instead. To add insult to injury, one notable exception, Jynx, was also a Psychic-type. 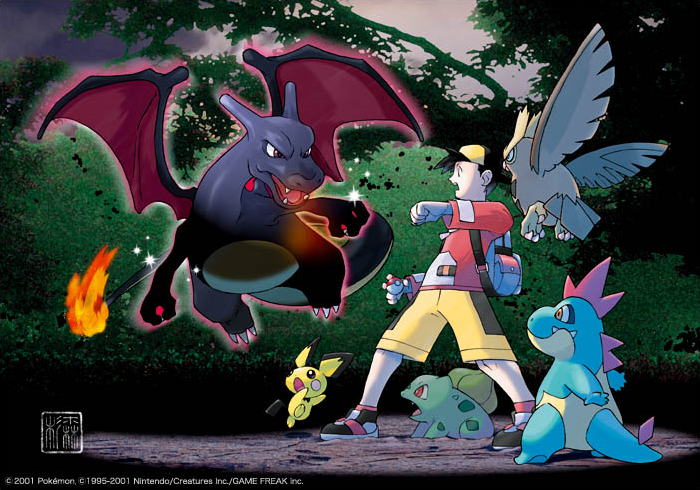 As of the second generation, Fighting Pokémon covered an impressive five types, being effective against both the freshly introduced ones. After all, who would be more up for the task of bending steel or putting cheaters in their place than a highly trained, disciplined warrior? Suddenly, the type no one took seriously – not even within the confines of the Pokémon universe – found a place on every serious team. Although Psychic-types still had their use, they found themselves humbled as they needed to play by the rules like everyone else. Along those lines, this radical shift in game balance has a profound impact on the starter Pokémon’s viability. In Red and Blue, you fought a constant uphill battle if you happened to choose the fire-type Charmander as your starter, as it would only have an advantage against one Gym Leader in the entire game. Though Fire moves could be powerful, the only types they dealt super-effective damage against, Bug, Grass, and Ice, were easily covered by other ones. Because the Grass-type Bulbasaur was often considered the ideal choice for beginners, it may have come as some surprise to many players when Gold and Silver inverted this trend. Now, all of a sudden, players who chose the Fire-type Cyndaquil found themselves steamrolling many of Johto’s Gym Leaders while their peers, thinking Chikorita would lead them to victory like Bulbasaur, struggled to gain any kind of advantage at all. Indeed, because Steel-types could only be meaningfully damaged by their weaknesses, Fire, along with the Fighting and Ground-types, became much more viable than they were in the previous generation. Though it may sound like a cheap trick to fool the savvy, I admire this development for truly forcing players to learn the intricate type interactions and study what they’re going up against. One of the greatest mechanics introduced in the second generation of Pokémon concerns the Day Care. In the original games, the Day Care allowed players to leave a Pokémon with the attendant so he could raise them for you. Every step you took resulted in the Pokémon gaining a single experience point. In practice, this service was fairly useless because Pokémon that gained experience points through battle ended up stronger than the ones gaining it from the Day Care. Even worse, if they learned any new moves in the interim, they would override the old ones. If they lost a move you wanted to keep, you were out of luck. In Gold and Silver, the Day Care has an entirely new purpose. As indicated by a symbol below a Pokémon’s name, they now have genders. On average, male Pokémon have higher “Attack” stats than female ones, though this design decision was primarily to maintain compatibility with the first generation. Genders come into play when you decide to leave a Pokémon at the Day Care. This is because you can leave two of them there at once. If they happen to be of the opposite gender, you may have a surprise waiting for you when you attempt to pick them up in the form of an egg. This is the groundbreaking discovery Mr. Pokémon wanted to tell Professor Elm about. Though it is unknown how eggs appear in the first place, they are quickly determined to be a Pokémon’s means of reproduction. You can hatch an egg by walking around with it. It takes up a slot in your party, though it obviously cannot partake in battle. How many steps it takes to successfully hatch an egg depends on the species of Pokémon within it. Some hatch fairly quickly while others take longer to reach that point. The species of the Pokémon is identical to its mother. This means you do not need two of the same Pokémon in order to breed them. They need only to be in the same Egg Group for it to work. Though the Pokémon’s Egg Group is an undisclosed variable in-game, you can determine if they’re compatible with enough guesswork. If you’re completely stumped, you can talk with the attendant outside of the Day Care to see whether or not the Pokémon you left are getting along. The breeding mechanic addresses many issues present in the original games. Part of what made Pokédex completion in Red and Blue so tedious is that you had to find creative ways to trade with your friends to see the task through. Because there were several instances in which the games offered you a choice between Pokémon that couldn’t be found anywhere else, this meant hoping your friends made the opposite choice and didn’t evolve them yet. The easiest way to resolve this problem would have been to buy both versions of the game and conduct two playthroughs concurrently, but it was a solution far from ideal considering you needed two machines to pull off such a feat. Because you can breed Pokémon in Gold and Silver, many of these issues are mitigated. In fact, you can even trade eggs for Pokémon or even other eggs, making the process even more streamlined. Though it may seem pointless if you’re playing alone, there is a secondary benefit to be gained from this mechanic. 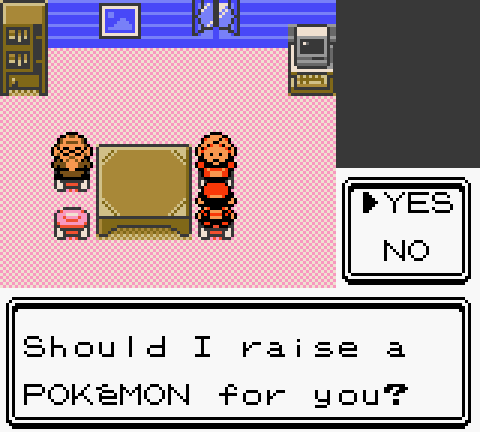 Though the mother determines the species of the Pokémon in the egg, the father plays an important role as well. Specifically, the father is capable of passing down parts of his moveset to his offspring. If you were the type to hoard Technical Machines (TMs) in the previous generation, you are granted a bit more leeway this time around. As long as the Pokémon in the egg is capable of learning the move, you will have no problem passing it down. In fact, with careful breeding, you can also pass down moves learned naturally to a Pokémon that would otherwise have no access to them. You can catch many opponents off-guard when your Pokémon uses a move that isn’t provided by a TM or from leveling up. There are many fields in which Gold and Silver are improvements over their predecessors, but the most substantial concerns its programming. Red and Blue, despite being admirable efforts for their time, worked on surprisingly fragile code. While it was possible to complete the games without ever experiencing a glitch, rarely would they actively prevent players from performing illegal actions. Watching the game attempt to keep up with these increasingly off-the-rails actions was amusing, but less so when it irreparably corrupted the player’s save file or prevented them from advancing. Unless you purposely go out of your way to mess up the coding in Gold and Silver, whether it’s by turning the game off while it’s saving or otherwise doing something wildly unintuitive, odds are that you will never encounter a glitch of any kind. I could tell these games had better programming because there are many safety checks in place even if an impossible scenario occurs. In both generations, it’s normally impossible to enter battle without at least one Pokémon on your team. However, the programmers of Red and Blue rightly assumed you couldn’t enter battle without one. Through the use of a cheating device, it’s possible to do just that. If this happens, the main character would send out a nonexistent Pokémon with an unnamed move. Using said move would cause a variety of effects as the game futilely tried to grasp what was going on. 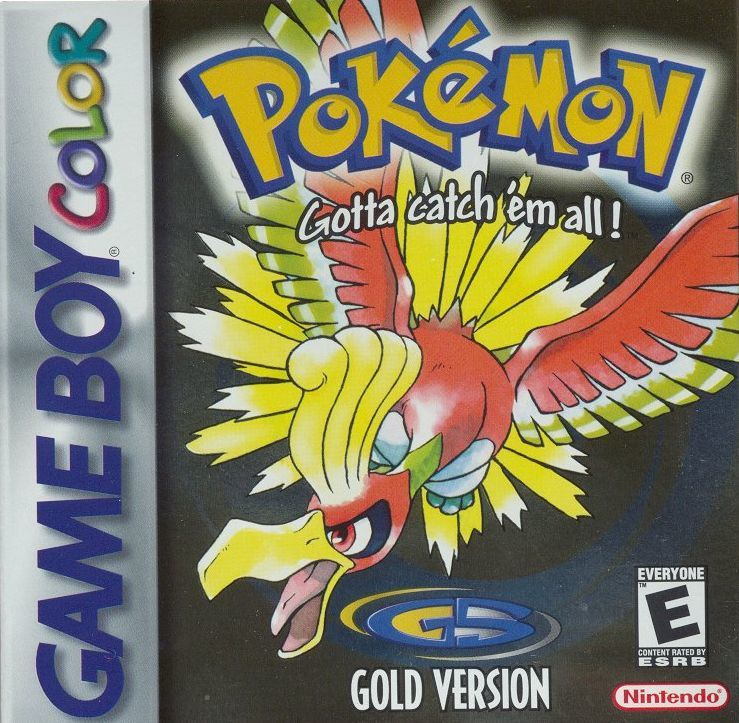 In Gold and Silver, the game simply awards the player an automatic victory if they enter a battle with no Pokémon. In other words, these games have an actual error handler. This way, even if the programmers overlooked a key piece of coding, the game would have little trouble correcting itself. Although Gold and Silver are improvements over their predecessors, there are a few subtle issues regarding is balance. As you play through the game, you’ll begin to notice that certain Pokémon are not optimized for their types. Because physical and special attacks are decided by type, the usefulness of certain Pokémon is highly limited. Late in the game, you may find a Pokémon called a Sneasel. This Pokémon is a Dark/Ice dual-type with high “Attack” and “Speed” stats, but a low “Defense” stat. This creature is intended to hit hard and fast before it takes any punishment in return. All it would take is a reasonably powerful Fighting-type move to put it out of commission due to a double weakness. However, the damage Ice and Dark-type moves inflict are calculated through the “Special Attack” stat. This is in spite of the fact that Dark-type attacks consist of biting, feinting, or other feats of physical intimidation. Regardless, because Sneasels have low “Special Attack” stats, a majority of their own moves are rendered nigh-unusable. There are many other Pokémon like Sneasel such as Krabby and its evolutionary next step, Kingler, whose usefulness is severely hampered from this clean divide. The original generation of Pokémon introduced HMs alongside TMs. HMs differed from TMs in that they could be used multiple times. Furthermore, the moves Pokémon learned from these machines could be used on the field, allowing them to cut certain tress or move boulders out of the way. In some respects, I can understand the appeal of this mechanic, for it allows Pokémon to solve mundane problems in addition to the fantastical ones and it’s a nice, subtle touch of world building. Unfortunately, the moves couldn’t be forgotten. This wasn’t too bad for Surf, Fly, or Strength, which were reasonably powerful, but the remaining two, Cut and Flash, had no long-term viability in combat. Worst of all, if you taught a Pokémon one of these HM moves and wanted to remove it later, you were out of luck. Given that a Pokémon can only learn four moves, it’s plain to see why this would be a problem. On some level, I get the appeal of the HM moves because they indirectly take cues from Super Metroid. In the beginning, you are drastically limited in where you can go and what you can do. As you progress and receive more Gym Badges, you gain the ability to utilize these HM moves. It’s like how you gain power-ups in Super Metroid to access new areas and open doors you couldn’t before. However, the key difference between Super Metroid and Pokémon is the number of steps required to use these abilities. In Super Metroid, switching power-ups is a matter of a few simple button presses. Meanwhile, using the HM moves in Pokémon involves a long, drawn-out process. The good news is that you no longer need to access the main menu to accomplish this. You can simply press the “A” button near an obstacle that can be circumvented with an HM move and you will be asked if you want to use it. Regardless, the second generation addresses this problem in a way that I feel doesn’t quite grasp what a big issue it was in the first. These games do provide the player with the means to remove an unwanted move – including ones learned from HMs. However, there are two factors that work against this gesture. The first is that the man with the strange ability to make Pokémon forget moves is found in Blackthorn City. This happens to be the where the eighth and final of Johto’s Gyms happens to be. While the game does allow for a degree of exploration once the third badge is obtained, seven of them are needed to access Blackthorn City. If you taught a weak HM move to a Pokémon in your main lineup, you will have to spend a significant amount of time with it before you’re given a chance to excise it. This is especially bad if said Pokémon knows three other moves you don’t want it to forget only to gain enough levels to learn a fourth you want to keep. In such a situation, you would have no choice but to bench it until you reached that point in the game. To make matters worse, the second generation of Pokémon saw fit to introduce an additional two HMs. One contains Waterfall and the other Whirlpool. 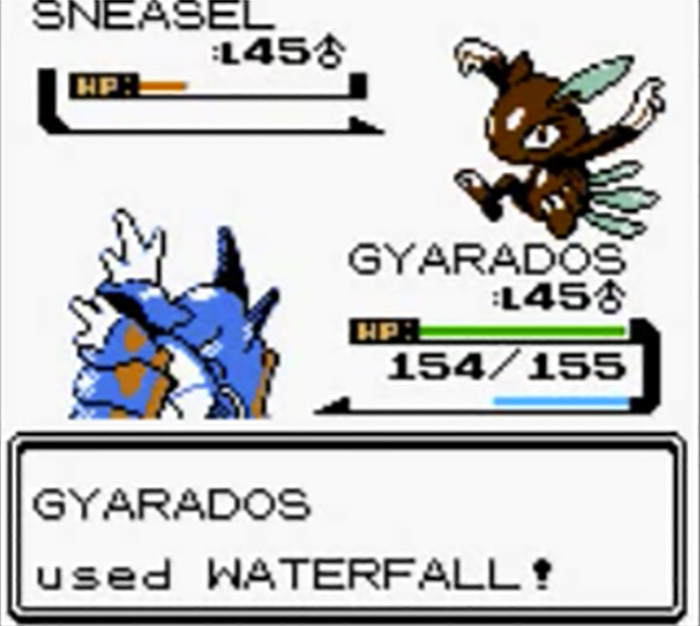 The former was a move that existed in the original games, but now it allows the player to, true to its name, traverse waterfalls. The latter is a weak move that repeatedly damages the opposing Pokémon over the course of several turns. In short, it’s a Water version of the move Fire Spin. The problem is that both are Water-type moves. From a strategic standpoint, it makes little sense to teach a Pokémon more than one move of the same type. You need a Water-type Pokémon to travel oceans, lakes, and ponds with the Surf move, which happens to be stronger than Waterfall. Meanwhile, Whirlpool is an example of a technique that sounds great on paper, yet is highly inefficient in practice. Why bother with a weak move that continuously deals small amounts of damage when you can use a stronger one capable of felling the opponent in one or two strikes? What this means is that the number of useless or superfluous moves required to simply navigate the world have been increased from two to four. Because you want to be careful about what moves you teach your Pokémon, you will ideally have to catch one to serve no other purpose than to use HM moves at appropriate times. This often translates to attempting to explore a dungeon only to realize you need an HM move to progress. After that, you go back to the Pokémon Center and swap out a vital member of your team for the designated HM user. It’s extremely tedious because you often need to have the member that sat out during this sequence play catch-up immediately afterwards. WARNING: This section will contain unmarked spoilers. When it comes to parsing the storyline of these games, the best place to start would be the setting itself. 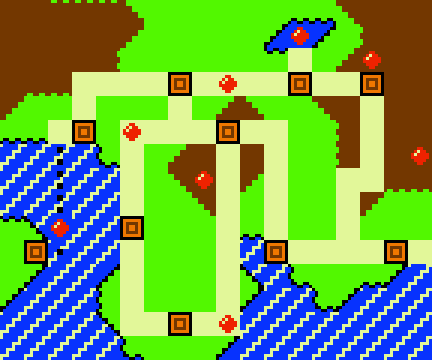 Gold and Silver take place in the Johto region. Kanto was based off the real-life Kantō region in Japan, though it also incorporated the eastern portion of Chūbu as well. Johto, on the other hand, is heavily inspired by the Kansai region. Just like in the region that preceded it, each of the settlements in Johto have a real-world counterpart. The most immediately recognizable ones are Goldenrod City and Ecruteak City, which are based off of Ōsaka and Kyōto respectively. The former is the most populated city in the Kansai region whereas the latter was once Japan’s capital city, carrying with it a rich history that dates back to the sixth century. Indeed, it takes only a bit of cursory exploration before you realize just how different Johto is from its predecessor. Kanto was highly modernized to the point where the uninformed player wouldn’t necessarily catch onto its Japanese influences. Though Johto is on par with Kanto in terms of technology, its customs and traditions are unmistakably Japanese in origin. Appropriately, the region boasts a much deeper lore than that of Kanto. The most striking concerns the Pokémon featured on the game boxes. Ecruteak City in particular two towers: the Brass Tower and the Bell Tower. These towers were perches for two legendary birdlike Pokémon: Lugia and Ho-Oh. Resembling a plesiosaur, Lugia could be based off of Ryūjin, a dragon who lives on the ocean floor and is the Shinto god of the sea while Ho-Oh is inspired by the legend of the phoenix in East Asian mythology – the Fenghaung, deriving its name from the Japanese pronunciation of the being. Being able to revive from its own ashes, the phoenix is a naturally a symbol of resurrection, which is an important part of the games’ backstory. The Brass Tower burned down 150 years before the events of this game through unknown means, causing Lugia to flee to the Whirl Islands off the coast of Olivine City. Three creatures residing there, Entei, Suicune, and Raikou, perished in the blaze. Ho-Oh returned to the burned tower after its destruction to revive the three beasts, and they were destined to roam the land upon their rebirth. Being the player’s induction into the world of Pokémon, the original two games didn’t have much of a story to speak of. You assumed the role of a young boy named Red, who received a Pokémon on his eleventh birthday. From there, you got to fight countless battles against other Pokémon trainers in your pursuit to become a master. That was all you really needed to know. There was an antagonistic force in the form of the villainous Team Rocket. Inspired by the yakuza, this gang committed many heinous crimes, including theft, blackmail, and even the slaughter of innocent Pokémon. Despite this, their status as the games’ antagonist was highly impersonal. 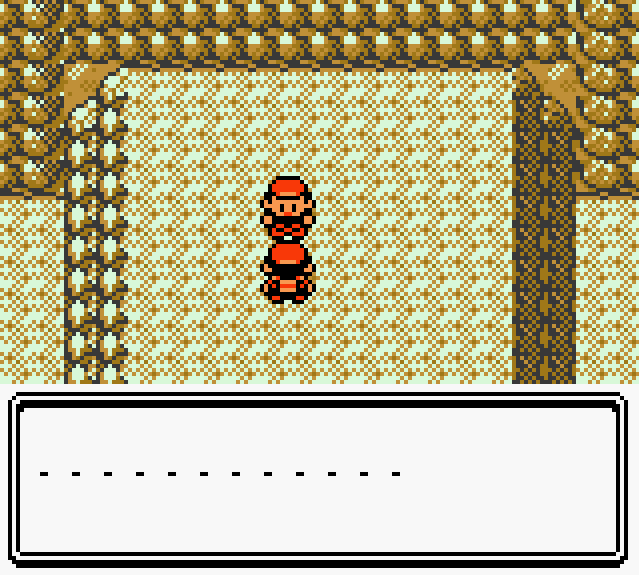 You got the sense that Red was stopping their plans on his way to the Gyms. In fact, the first Rocket lackey Red fought was introduced with little fanfare. If it wasn’t for the uniform he wore, you could easily mistake him for an ordinary trainer. The reason I mention this is because as Ethan leaves Mr. Pokémon’s house, you will get a sense of how much more important of a role the story plays for these games. When he obtains the egg from Mr. Pokémon, Professor Elm calls Ethan, telling him there’s an emergency. On the way back to New Bark Town, he happens upon Silver, a young boy with long, red hair. He is Ethan’s rival. Whereas Blue was a good example of a non-malicious antagonist, Silver quickly proves he has few compunctions. How can you tell? Simply by the fact that the Pokémon he uses against you is one of Professor Elm’s. No, he did not acquire that Pokémon legally; he outright burglarized the professor’s laboratory and took it for himself. Coupled with the fact that he calls his Pokémon useless upon losing, and you’ve got yourself one detestable individual. Other than Team Rocket, the only real antagonist Red faced was his own rival, Blue. Because he always seemed to be one step ahead of Red, Blue could be seen as the Pokémon equivalent of Porky Minch from Earthbound, though he wasn’t nearly as malicious. At worst, he was guilty of being arrogant and obnoxious. Silver, on the other hand, is much more like Porky insofar that he is far more antagonistic than Blue. Silver is every bit as immature as Porky, though he expresses his flaws in a different manner. While his spiritual predecessor was the textbook example of a spoiled brat, Silver is a cold, distant loner who only sees his Pokémon as tools to reach the top. He also has quite the selective memory as evidenced by his calling out Ethan for being pathetically weak despite his repeated losses to him. Though abusive to his Pokémon, he typically has the skill to back up his claims, so running into him when you’re not expecting it can be quite shocking. It’s eventually shown that losing to Ethan does get through to him. During your later encounters, he begins questioning if his way of thinking is wrong. Though he always retains his stoic demeanor, he learns to respect Ethan. At first, he always addressed Ethan with impersonal, second-person pronouns, he later refers to him by name. Unlike Blue, he does not usurp the champion’s position as the final challenge Ethan must overcome, yet this arc makes him every bit as memorable. My favorite aspect of the storyline of these games is that it’s surprisingly realistic in how it depicts what happens when a criminal gang loses its leader. Team Rocket’s leader, Giovanni, lost to Red three years ago whereupon he declared that the organization was officially disbanded. Ever since that day, he has completely disappeared and no one has even the slightest idea where he might be. However, saying that Team Rocket was disbanded didn’t cause his underlings to simply pack up their bags and call it a day. As Ethan travels through Johto, he finds himself having to stop many of their schemes. If anything, being without a leader has arguably made them even more of a threat than before. It makes a lot of sense; without Giovanni’s guidance, the team lacks organization. As a result, they’re liable to commit crimes whenever they feel like it with little rhyme or reason. At first, Ethan stumbles upon them selling the tails of a Pokémon called Slowpoke, claiming it to be a delicacy. Later in the game, they take refuge in a small town in the mountains where they perform experiments to induce Pokémon evolution. Finally, after Ethan receives his seventh badge, they hijack Goldenrod City’s Radio Tower in an attempt to contact Giovanni. Though more of a pervasive threat in Gold and Silver than they were in Red and Blue, these developments are interesting because they seem to denote a great amount of determination on Team Rocket’s part, but with a marked lack of focus. They have few qualms committing these heinous actions, yet when Ethan defeats them again and again, they are left with no choice but to call upon their missing leader. Tellingly, their attempt at contacting Giovanni fails; you will not encounter him by the time the credits roll. It allows players to comprehend the impact Giovanni had on the world without ever meeting him in person. Though anyone who played it can point to various moments in the plot they enjoyed, the most impactful reveal occurred upon obtaining all eight Gym Badges. Once you do, you’re told to travel to the east of New Bark Town. Upon arriving in the new area, an NPC tells you that you’ve taken your first step into Kanto. Like Red before him, Ethan must travel to Indigo Plateau and challenge the Elite Four so he may become the newest champion. Unlike in Red and Blue, the game isn’t over once he is inducted into the hall of fame. After all, there is a whole new region he has yet to explore. He can even battle the Gym Leaders should he so choose for a grand total of sixteen badges. When it comes to Kanto’s inclusion in Gold and Silver, I have mixed feelings. Being able to fit all of the appropriate data in a Game Boy Color cartridge was an outstanding technical achievement. For that, we have Satoru Iwata to thank. As the game was being developed, the team ran into various memory issues as a result of the new features they implemented. Despite being half-finished, the cartridge space was completely filled. Mr. Iwata stepped in and saved the day once again – this time by personally compressing the game’s code. When he finished, there was enough free space to include the Kanto region. By wandering Kanto, you will learn that a lot changes in a short three years. The Pokémon Tower has been repurposed into a Radio Tower, the volcano on Cinnabar Island erupted, destroying the town completely, and the abandoned Power Plant is now functional once more, supplying power to the entire region. One of the most striking changes is that Red’s rival, Blue, has since replaced Giovanni as Viridian City’s Gym Leader. 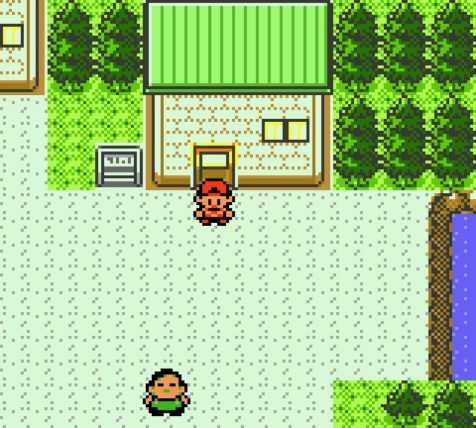 With the first set of games, you were exploring Kanto from a native’s perspective. Exploring it from the perspective of someone who hails from another land makes you feel as though you’re seeing it with fresh eyes for a second time – particularly when you’re facing off against Blue and visiting Professor Oak’s laboratory in Pallet Town. However, as you give Kanto a thorough scrub, you’ll realize it’s a shadow of its former self. Many points of interest such as the Viridian Forest and Mt. Moon are heavily abridged to the point of unrecognizability. Others such as the Safari Zone, the Cerulean Cave, and the Seafoam Islands are outright missing. This is somewhat understandable; even with Satoru Iwata’s technical wizardry on their side, the team was bound to run into memory issues. Including every single area in the original two games would have been impossible under those circumstances. Still, even with that in mind, it does turn the second half of the game into a giant scavenger hunt, which is in turn exacerbated by any semblance of plot being thrown out the window. Barring one isolated moment in which you’re forced to hunt down a straggling Rocket Grunt, you’re just going through the motions until you have all sixteen badges. Much of this problem can also be attributed to the fact that Kanto has a far less linear design than Johto. You will have all of the HMs by the time you reach it along with the badges required to use the associated moves outside of battle, meaning only roadblocks can prevent you from going anywhere. Although I can appreciate the idea of a game transitioning from a linear affair to a non-linear one, the first half of the experience featured a natural difficulty curve. This is especially important in an RPG such as Pokémon because it allows your party members to face gradually stronger opponents as time goes on. The Kanto region doesn’t do this; with the exception of Blue, every Gym Leader’s Pokémon are around the same levels. In fact, one Gym Leader, Janine of Fuchsia City, has a team of Pokémon weaker than anything you would have faced while fighting the Elite Four. 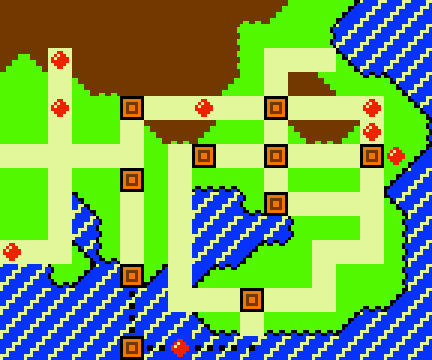 I can appreciate the idea of including the Kanto region in theory, but in practice, it probably would have been more prudent to use the remaining space to program more areas in Johto. All of the problems that manifest as a result of the unnatural difficulty curves culminate in what I believe to be the single greatest flaw of Gold and Silver. Once you have obtained all of the badges from Johto and Kanto, Professor Oak will allow you to access Mt. Silver – the Pokémon universe equivalent of Mt. Fuji. This mountain is home to the most powerful wild Pokémon in the game, and is thus sealed off to normal trainers. Should you be tenacious enough to reach the peak, a familiar individual awaits you there. That’s right – after hearing of his exploits throughout the game, you finally come face-to-face with Red himself. The true final boss is the very character you played as the series’ inaugural games. This feeling of elation is likely going to be replaced with a sense of pure dread when you examine the stats of Red’s first Pokémon and realized he just barged out of the gates with a level 81 Pikachu. It is a little deceptive in that the other Pokémon on his team are in the seventies range in terms of level, but it is clear he is not a pushover. Many people cite the battle as the single greatest moment in the entire game, and I agree that it’s an excellent payoff for having gotten this far. 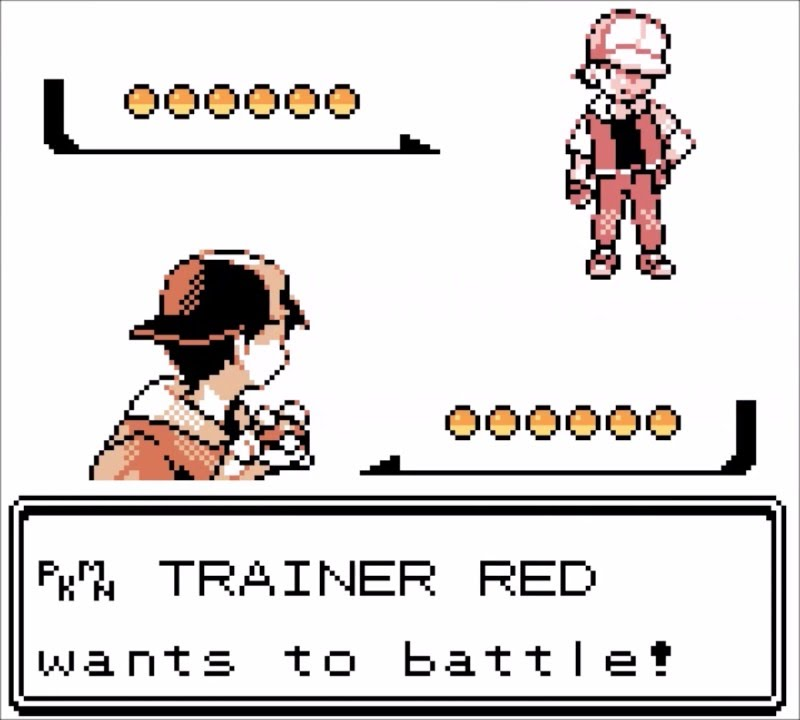 Unfortunately, the effectiveness of this moment is ultimately subverted by the fact that Red’s team is vastly stronger than anything else you will ever encounter in the game. Blue boasts the second-most powerful team in the game, and his strongest Pokémon is a mere Level 58. There is no guarantee your own team will match that level when you defeat Blue; in fact, it’s entirely possible to reach Mt. Silver with a team that has just entered the fifties range. There is quite a bit of difference in power between Blue and Red, there is only one way you can rise to this challenge: grind levels for hours upon hours. Though I can say Gold and Silver are material improvements over their predecessors, they are far worse when it comes the level grinding you must do. In Red and Blue, you only really had to grind levels when you were about to challenge the Elite Four. In Gold and Silver, on the other hand, you have to set aside a lot of time grinding levels twice in the game: once when you’ve arrived at Indigo Plateau and a second time as you’re about to challenge Red. What makes this problem especially insufferable is that the means by which you can grind levels are severely limited. Mt. Silver may contain the strongest wild Pokémon you will ever encounter in the game, but they’re mostly the forties range when it comes to level. If you want to win, you must defeat countless wild Pokémon until your team is at a high enough level. It is possible to capture a level 70 legendary Pokémon prior to this encounter, but even then, you still have to train it if you want a chance against Red. Someone unfamiliar with the game may be questioning if there exist other methods to obtain experience points. The answer to that question is: there are, but they’re not helpful. As you explore Johto and Kanto, you will happen across trainers who will offer to exchange numbers. They will often call you to tell you how they’re doing, but on occasion, they may challenge you to a rematch. When you return to them, you will notice that their team is a little stronger than they were the last you saw them. However, the problem with this system is threefold. First of all, excluding Ethan’s mother and Professor Elm, you can only register eight people in your phone card. If you’re using them to grind levels, it usually pays to only register trainers from later routes, as they are the ones more likely to feature stronger teams, which translate to more experience points. Secondly, you don’t have any control over when they decide to rematch you, so most of the time, you’re still going to be stuck in Mt. Silver. Finally, although the trainers’ teams do improve every time you meet them, they can seldom keep pace with you, making them handier as a source of money than experience points. There would appear to be some degree of mercy in the form of a house in Viridian City wherein you can battle a strong trainer multiple times. By default, he will have a team of three level 50 Pokémon. Though serviceable at first, the diminishing returns will become apparent in time. If you’ve battled with another human player, this trainer’s team will change to match their lineup. This proposal is great if the last person you played against had an especially powerful team, but if they didn’t, you’re stuck grinding levels at Mt. Silver again. Even so, you can only challenge the trainer once per day, removing a lot of the goodwill from this admittedly novel concept. I can appreciate the idea of making the player work to see the ending of the game, but the team took the concept too far. After having traveled the significantly less lively Kanto for the second half of the game, don’t be surprised if you’re actively wishing for it to end already so you can move on to something else. To those who played them back when they were released, Gold and Silver are considered some of the best games of its console generation. It’s easy to see why the games are so beloved. Having a game operate on a clock that functions in real-time was highly unusual at the time. It allowed an 8-bit game to have a level of immersion many 3D titles didn’t possess. The games also retained the personal, auteur touch that allowed their predecessors to reach such a large audience. The people who made these games have every right to be proud of their work, and they stand to this day as one of Mr. Iwata’s greatest accomplishments in a career that had no shortage of highlights. However, to me, Gold and Silver take almost as many steps back as it does forward from Red and Blue. While you could consider the end result an improvement, many old flaws were exchanged for new ones. Granted, Gold and Silver have a much better sense of balance to the gameplay and are programmed far more competently, yet you are going to have to deal with many user-unfriendly design choices to reach the good portions. To wit, its overreliance on level grinding is especially egregious because by 1999, JRPGs as a whole had mostly done away with it. Developers eventually realized that players didn’t enjoy having to fight the same monsters over and over for hours until they had a vague chance of defeating the overpowered boss lurking at the end of the dungeon. It is curious, then, how the team behind Gold and Silver not only decided to make players grind levels to succeed, but make it an even greater part of the experience this time around. Because they provide highly repetitive experiences, recommending Gold and Silver in their original forms is exceedingly difficult. Fortunately, despite how flawed these games are, there is a way to enjoy them in a positive light. Ten years after the domestic release of these games, Nintendo released Pokémon HeartGold and SoulSilver. 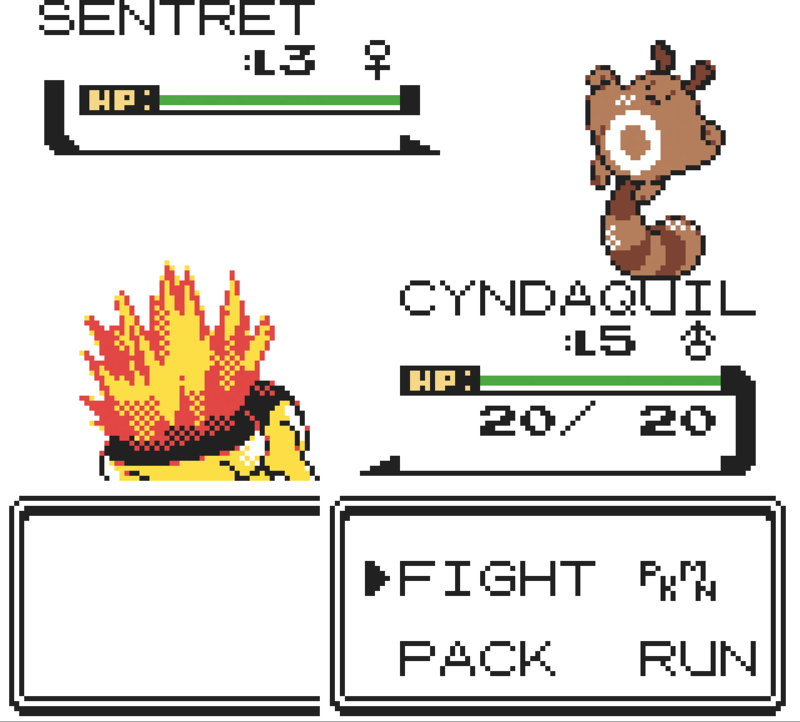 Much like FireRed and LeafGreen before them, they were enhanced remakes of the second-generation games. If you’re new to the series and wish to experience these games in any form, those are the versions you should seek out, for they address a majority of the originals’ flaws. Gold and Silver may not have aged gracefully, but they were instrumental in proving the Pokémon franchise wasn’t an inane nineties fad; it was here to stay. Being a bit older than most Pokemon players, I actually skipped out on the series until the the HeartGold remake and while that one didn’t necessarily hook me completly, it did enough that I dabbled with the series until it finally took hold with X/Y. I have a physical cart of Silver in my collection now, though I doubt I’ll ever actually play through it. Honestly, if a newcomer wanted to see what this generation had to offer, the remakes are the way to go. It’s a bit of a shame, then, that they’re so difficult to find. I myself ended up downloading Pokémon Gold on the 3DS Virtual Console to see how well the original version held up and the answer is: not very well. They were massively innovative for their time, but they have been surpassed many times over by later generations. Even X and Y, which I have to admit I didn’t particularly care for, provide more solid experiences than Gold and Silver. Great analysis, I especially loved how you praised the clock and calendar-based events, and how you mentioned all steps developers took towards making Silver and Gold more balanced than its predecessors. Plus, there was a lot that you talked about regarding the franchise’s history I did not know about. Awesome job! Thank you! When writing a series of reviews like this, it’s definitely interesting seeing in what ways the sequels are improvements over their predecessors. Gold and Silver have much better balance than Red and Blue wherein you could just capture a team of a Psychic-types and call it a day. Some issues, such as the physical/special divide remain, but I do like how much thought the developers put into this. Also, I myself had no idea just how much of a role Satoru Iwata had in this series’ success until I began looking further into it. Yeah, it seems Iwata was everywhere during that decade. From Earthbound to Pokémon. Great analysis! I do look back fondly on these games, but the HM requirements and TERRIBLE level-grinding stole a lot of joy when I just recently replayed Crystal Version last year. I made sure I had a full team at Level 50 when I took on the Elite Four (it took soooooo long). After that, I decided to just steamroll through Kanto and quit caring about levels. Great games, but as you said, they do have some major flaws! Thanks! And I know what you mean. After having downloaded Pokémon Red two years ago, I was looking forward to the Virtual Console releases of Gold and Silver. I had a lot of fun revisiting Red, but with Gold, I was shocked how poorly it aged. It was a step forward for the series as a whole, but the level grinding was ridiculous. I was only able to defeat Red after several hours of grinding levels, and even then, I had to use a Max Revive to accomplish that. Ultimately, I feel that while they were good efforts for their time, the later generations surpassed them many times over. Really enjoyed the backstory and examination on this one. Despite loving RPGs in the 90s, I somehow completely missed out on the whole Pokemon thing. I’m still not really sure how that happened. I keep considering picking up one of the newer ones, but we’ll see if that ever happens. Thanks! I thought these games had an interesting story behind them myself. I think I was the opposite; I hadn’t played many RPGs in the nineties, and it was Pokémon that introduced me to them along with Super Mario RPG and the Final Fantasy Legend series. If you’re going to try the series out, I recommend Black and White (Generation V) as a starting point, though if what I’ve played of them is any indication, Sun and Moon wouldn’t be bad choices either. Very interesting look into the beginning of this series. I also never got into Pokemon, but I guess it’s too late for me now. I’m at the point where I only have the time to follow maybe two or three game series religiously, and I’ve decided what those are already. Thank you! The games are self-contained, so other than missing out on a few callbacks, I think a newcomer can just skip to one of the later generations without any difficulties. I especially like the fifth generation (Black and White and their sequels). This was the Pokemon generation that had the biggest impact on me. I can totally understand later entries bettering it, but for me, THIS is what I think about when I think of Pokemon. Also, as good as Pokemon games get, one thing I think has been lost in pretty much every post-Gold/Silver entry is the concept art. No, I’m not going to complain about the Pokemon designs like a lot of nostalgics (the new Pokemon are great, and I feel a lot of people forget that ghouls like Mr. Mime and Jynx existed in the supposedly “golden age” of gen 1). But the simplistic, watercolor look of the concept art. As you can tell just from the boxart you’ve included at the top of the review, the first two generations of Pokemon have a kind of “kid’s drawing” element added to the watercolor look (certain areas of the characters still being white, as if not completely colored in). I feel the concept art from later games in the series dropped that, which is a shame. It may look more polished now, but the concept art for the first two Pokemon generations had a unique style to it that had a really standout charm. I totally get where you’re coming from, though I have to honestly say the fifth generation is the one that had the biggest impact on me. After taking a break from the series for five years, that’s the one that reined me back in, and was something special. For that matter, I also have to admit I like the third generation more than the two that preceded it, but I’ll save my full thoughts for when I actually review it. And you’re right, the series has had no shortage of great concept art. I remember discovering the one featuring the shiny Charizard several years ago, and I knew I had to include it in this review. You also have a point in how many of the older Pokémon designs are pretty bland (“we have a Poké Ball-shaped Pokémon that evolves into another Poké Ball-shaped Pokémon!”); I definitely think as the series has gone on, the creators have had to push themselves when it comes to design. I think they’ve done a great job experimenting with new type combinations, which I feel is a major driving force behind these designs. Keep in mind that before Generation III, there weren’t even any pure Ice-types. And that’s a great point about the watercolor aspect of the character design; I never really thought of it that way. That being said, I like the new art style as well; it’s kind of a way of having grown up with the original fans while still retaining its appeal. Gold and Silver were my favorite Pokemon games. I can’t say I’ve put as much time into them as I have the originals, but a lot of the new pokemon, deeper mechanics, and more involved lore just resonated with me. I really liked the addition of the real world clock back in the day. It made it feel a lot more immersive to me. But that really doesn’t jive with me now. I only ever play games at night, so something like that would feel like it’s just cutting out chunks of the game from me. And yeah, I always considered the game as ending in truth once you beat the Elite Four. The whole Kanto area is just post-game content. I can certainly see why; it was materially a major step up from the original two games, and they put a lot more effort into world building this time around, which really made the setting even more appealing. And the real-world clock was just something you didn’t see back then. It was awesome whenever the time of day matched the real world. 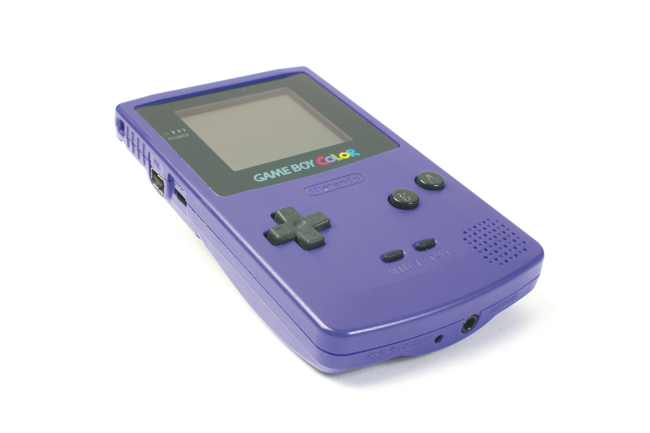 The only downside is that this would cause the battery to drain much faster than a standard game – just seven years later and your save file would be gone forever. Yeah, the Kanto region pretty much was just elaborate post-game content. It was appreciated, but the level grinding you must do to stand a chance against Red is ridiculous. Fascinating that Ape Inc., the people behind Earthbound, worked on Pokemon. I had suspected it, because a lot of Pokemon trainers in the field say zippy one-liners before a fight! Indeed they did. When I played through Earthbound Beginnings especially, I could see many parallels with Gen I Pokémon. You can find an old man’s dentures in both games, going through the Safari Zone is a lot like visiting the zoo in Beginnings, and the theme of Beginning’s final area reminds me of the one used for Indigo Plateau.